Atopic dermatitis (AD) frequently affects both infants and adults, impacting on the quality of life of the individual and imposing a significant psychosocial burden. 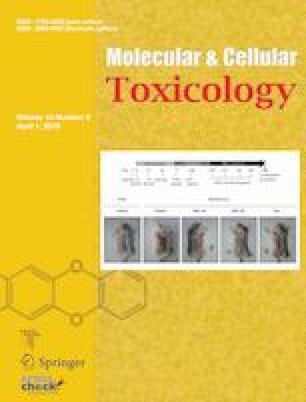 The efficacy against AD-like skin lesions of the fermented form of Korea red ginseng (FRG), that contains ginsenoside metabolites, has not been investigated. FRG was prepared after fermentation of Korean red ginseng (KRG) extract in the presence of yeast and probiotics. The effects of FRG on skin allergic inflammation were then investigated by examining the frequency of scratching, and assessing the levels of representative allergic markers in 1-chloro-2,4-dinitrobenzene (DNCB)-challenged Balb/c mice. After two weeks of DNCB challenge, vehicle, dexamethasone (positive control), and FRG (10 and 50 μg/mL) were applied topically on skin lesions for 2 weeks. At the end of the experiment, scratching behavior, immunoglobulin E (IgE), and interleukin 4 (IL-4) levels were measured. The status of mitogen-activated protein kinases (MAPKs) and nuclear factor kappa B (NF-κB) were determined by immunoblot analysis in DNCB-treated primary splenocytes. Topical administration of FRG significantly suppressed scratching behavior, serum IgE, and IL-4 levels (P<0.05, n=5/group). In addition, FRG treatment significantly decreased the mRNA expression levels of IL-4 and IL-10 in DNCB-exposed splenocytes (P<0.05, n=6/group). Moreover, FRG suppressed DNCB-induced phosphorylation of p38 MAPK and activation of NF-κB. FRG could ameliorate skin allergic inflammation via suppression of p38 MAPK and NF-κB. Therefore, FRG may be a potential therapeutic agent for the prevention and/or treatment of atopic-like dermatitis.